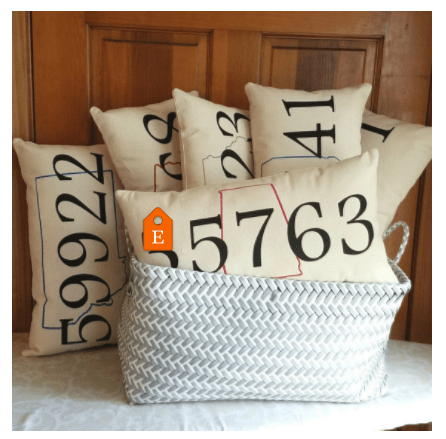 This week I’m excited to introduce you to Abby Granger of AbbyKate Pillows. 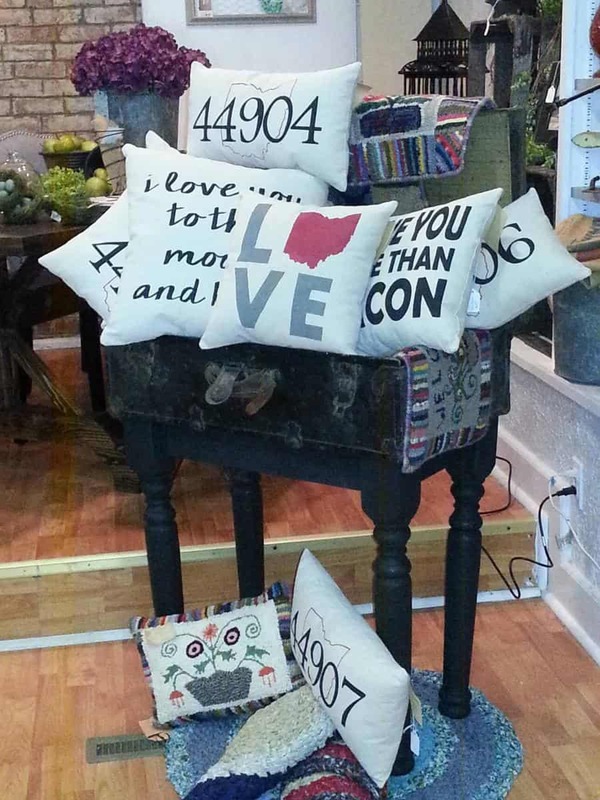 Abby designs creative and fun throw pillows that are unique and hand painted! 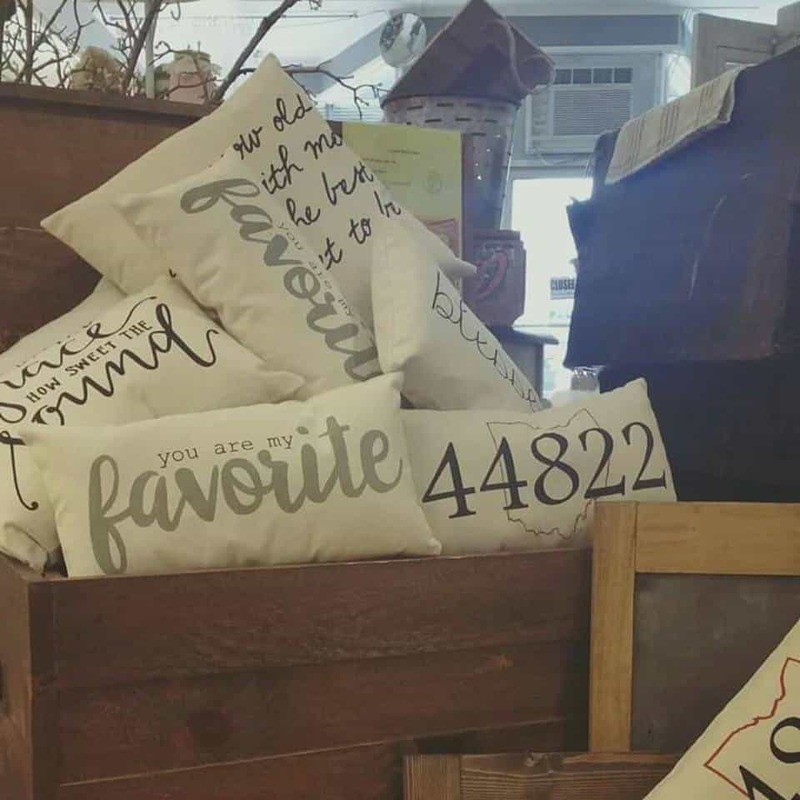 Whether you’re looking for something cute for your own home or looking for a unique gift Abby has you covered. 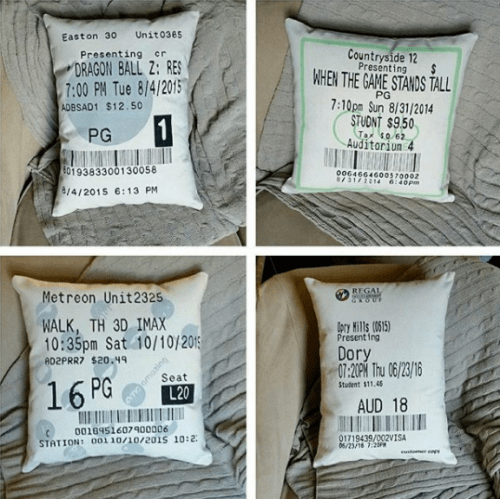 Click below to take a closer look at her pillows! 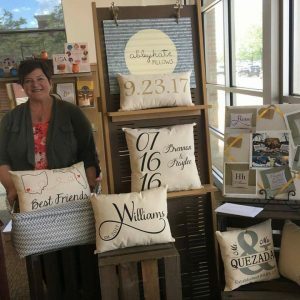 I make custom hand painted pillows and I truly never intended to start a business – it literally just happened. For Christmas in 2014, a family member declared it was a “handmade only” Christmas so I decided to make some pillows which ended up being very well received. My husband, our boys and I were fundraising for a Mission Trip to the Dominican Republic the following June so on a whim I told my husband, “I think I’ll just throw an etsy shop together to see if anyone else is interested in these pillows.” We raised the funds we needed for our trip and had more people wanting pillows so I decided to keep it going. We are currently selling consignment in 20 stores, sell wholesale to 5 stores, have a busy Etsy shop and recently joined Handmade at Amazon. Next stop, our own dotcom! I love having the opportunity to not only be flexible and available FOR my family, but to also be working WITH my family. My husband is extremely supportive – and thankfully very artistic – and he paints all of our extremely detailed pillows. Our two boys (age 15 and age 10) also help in various capacities of our business. Don’t be afraid to take chances! Some of my best-selling pillows are ones that I wasn’t quite sure I could originally accomplish. Take time to think through the process and keep practicing until you get it right. Be on the lookout for ways to become more efficient or cost-effective! My method of painting is completely different now (and much faster) than when I first started this business. There’s always an easier or better way to do something so don’t get stuck in a rut! Before joining the Handmade Journey Academy, I was having consistent sales in my Etsy shop, but was having trouble getting to the next level. I wasn’t able to connect all the dots of SEO to gain real traction. Jami and Rose both have an easy way of explaining things that make sense to me. 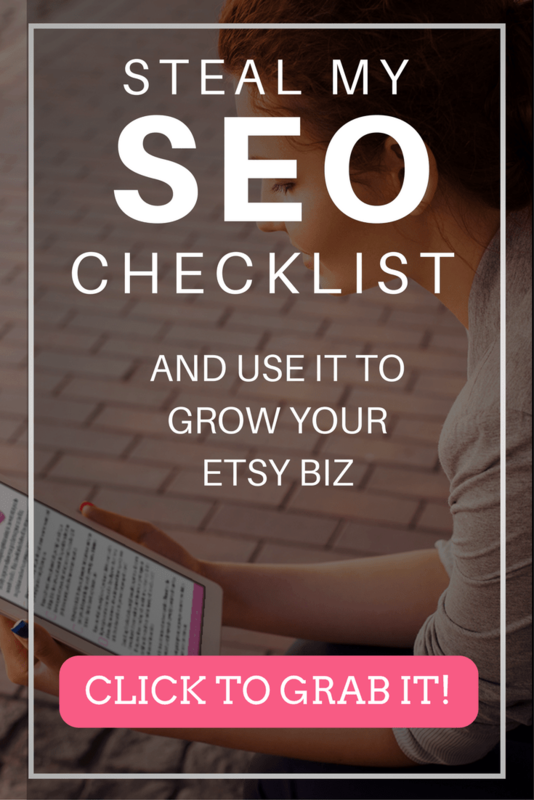 Once I implemented the things I learned in the HJA, especially the renewing strategy and promoted listings, my etsy shop has continued to improve month over month and my orders have doubled. Another great benefit of the HJA has been the camaraderie with other supportive handmade business owners. My immediate goal is to replace my husband’s income so he can grow his own woodworking business. Future goals are growing my product line and mentoring other makers.